Digitalisation is a current catchword across the world. For Europe's leading truck, trailer and bus replacement parts dealers it is more than a catchword. With digital solutions, EUROPART is providing answers to its customers’ needs. Whether in terms of information, organisation or mobility – the company from Hagen is equipped for national and international competition in 2019. "For us, the focus is always on the customer. And the customer is steadily becoming more digital", says Olaf Giesen, CEO at EUROPART, explaining the reason for the shift. "If I want proximity to the customer today, it can't be done just with a printed flyer and a visit from the sales rep. The company has to also be accessible, informative and user-friendly." EUROPART recently depicted the importance of customer proximity on the commercial vehicle market with the "Passion connects!" campaign on the occasion of its 70th anniversary. In addition to traditional elements, like a homepage and newsletter, EUROPART relies on new tools and distances itself from the usual concepts. The introduction of the current EWOS (EUROPART Workshop Online System) at the end of 2018, was the first step towards supporting the customer in their daily work in a digitally active way. EWOS 3.0 has become mobile, it can be individualised and supports the user in organising their workshop or business. Furthermore, it offers many features in the area of technical data. At EUROPART, the focus of development is on mobility. Starting in 2019, the customer will be able to use services even quicker and more conveniently using the EUROPART app. "When I am at the garage or at a meeting with a customer, it is ideal if I can pick up a tablet to do research or make orders directly on-site", says Giesen, describing a usage scenario. "Today, you don't want to be saying: I will contact you later when I am back in the office." EUROPART is also taking the path of digitalisation with regard to traditional sales-promoting offers. The "Favourites" printed flyer is being replaced with "HERO Deals". 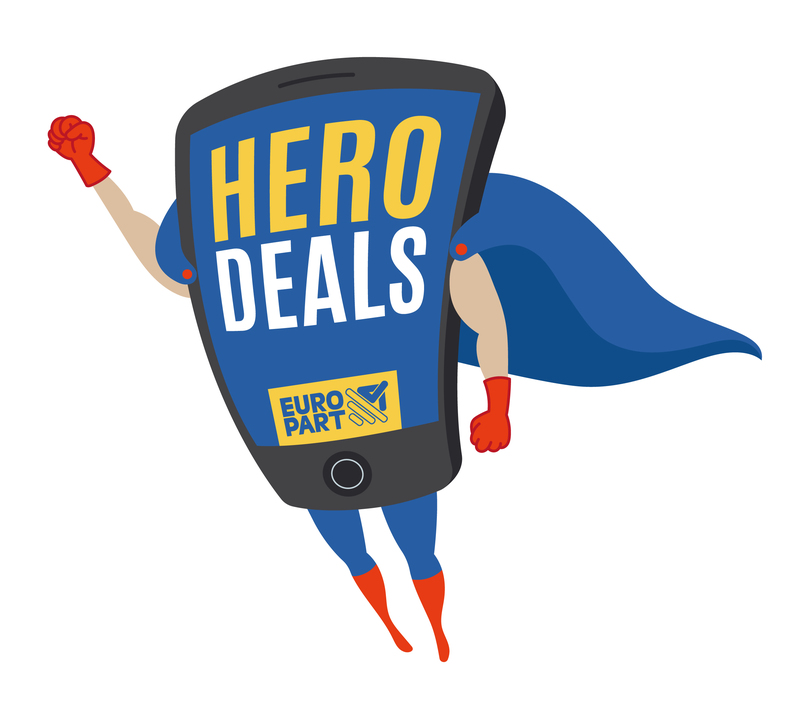 In the style of the current advertising campaign, the "garage hero" introduces six weekly offers. This increases the sales rhythm threefold. In addition, with the mobile digital solution, no more printed short-term advertising is produced, which makes the company more environmentally-friendly. Permanent publications, like catalogues, are not affected by this. These are generally used in workshops and business for years and are full of notes. In addition, these publications are also offered on the homepage via the iPaper tool, offering the added value of the direct link to the ordering system. EUROPART will continue following the successful path to social networking. The focus here is on Facebook and YouTube. Exciting videos, interesting reports and useful tips will captivate the followers. "These activities do not generate direct purchases for us", says Daniel Zinn, Head of Marketing, describing the social media activities. "It is much more about presenting ourselves as a company and showing who is behind EUROPART and that they are cut from the same cloth – full of passion."